“Please do not withdraw, you are welcome here. I assume you have come to look upon the tapestries? They are the finest collection of such anywhere in this world or any other. In the many stories woven upon them you will find the lives of the gods themselves, the rise and fall of kingdoms, the tales of the secrets and depictions of beasts so fearsome you may never sleep again. There is a room to leave your travel belongings. It is here, to the left. We get more visitors than you might suppose. Refreshments are available along the corridor. Should you need to sleep, arrangements can be made. When the master is dining no guest may enter the dining hall, but at all other times food can be prepared for you if you wish it. There is no charge. Should you have any questions concerning other matters, you need only ask. More than a day’s journey from the North road past Ulanquin lies a remote estate. At first sight it appears to be a vineyard, albeit oddly situated far from any towns. Closer inspection will reveal a small community lives here. There is no livery on display and none of the symbols of any religious order. At the centre of the estate stands Foremost House, an old and unusual building the origins of which are lost to history. Each master of the place has been chosen by the previous master for as long as records have existed. All have seemed to have access to considerable wealth, said by some to be a gift that accompanies the acceptance of the role. Within Foremost House is a large hall which contains only tapestries. 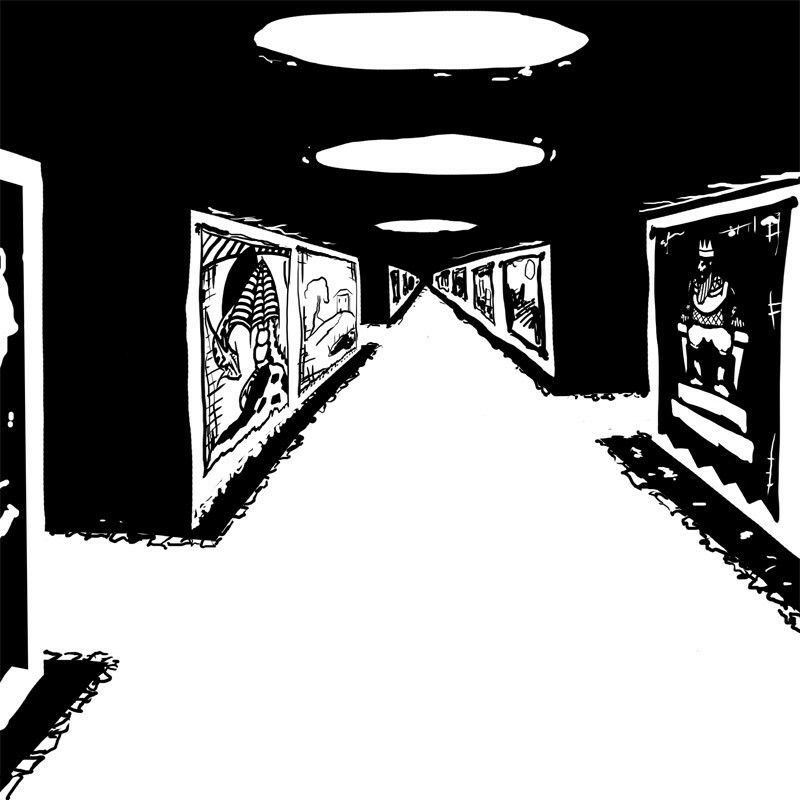 The room is a maze, with anyone wishing to view the tapestries forced to explore it and risk getting lost. It might seem like a simple matter to navigate such a relatively small maze, but those who have entered it and returned tell tales of miles of twisting routes and even stairways stretching far belong what the hall could reasonably hold. According to legend it is possible to retrieve the souls of the dead from within the maze. Indeed, this is technically true, but the strange properties of the depths of the maze extend beyond even this. Events from the past, including deaths, are all recorded on tapestries somewhere in the maze. If you can find the relevant tapestry and unravel it then those events can be undone. Or at least, you will emerge from the maze into a world in which they never happened… whether it’s the same place you set out from is another matter.